Standing alongside Mark Barden, a father who lost a child during the shootings at Sandy Hook Elementary School in 2012, President Barack Obama recently outlined executive actions intended to reduce gun violence in our nation while rightfully allocating millions of dollars to mental health services. Since Sandy Hook, we have been frequently reminded in the nightly news of individual emotional fragility, and possible mental illness, whenever gun violence erupts in our communities. When these shootings occur, there is often a quick judgment and individuals with mental illness are scapegoated as the likely perpetrators. Such episodes heighten awareness of mental illness and the need for compassionate programs of intervention and care. But the fact remains that those who suffer with mental illness are more often on the receiving end of violence than the other way around. Still, some progress is being made. On the national front, the president’s approval of the 2016 budget bill includes a $400 million boost to mental illness programs, including the largest increase to research at the National Institute for Mental Health since 2012. The budget adds $50 million for services at the Substance Abuse and Mental Health Services Administration, and a $255 million increase for veterans mental health. There’s also positive action in Michigan to extend mental health care to more Michigan citizens. U.S. Sens. Debbie Stabenow, D-Lansing, and Roy Blunt, R-Missouri, plan to introduce legislation to boost funding to expand community mental and behavioral health services across the country. That bill would fund mental health planning grants in 24 states, and Michigan is included, through their 2014 Excellence in Mental Health Act. Under the current law, funding is limited to just eight states. The act will provide access to community mental health and substance abuse treatment, while improving Medicaid reimbursement for these services. When fully implemented, it would add more than $1 billion to spending for behavioral health. There also have been large steps made toward integrating and advancing a comprehensive approach to physical and behavioral health for Michigan citizens. Our state’s adoption of the Healthy Michigan (Medicaid) program has extended health care, including a psychiatric care component, to 600,000 more residents. Moreover, the federal government recently issued the waiver needed to continue Michigan’s implementation of expanded Medicaid. With Lt. Gov. 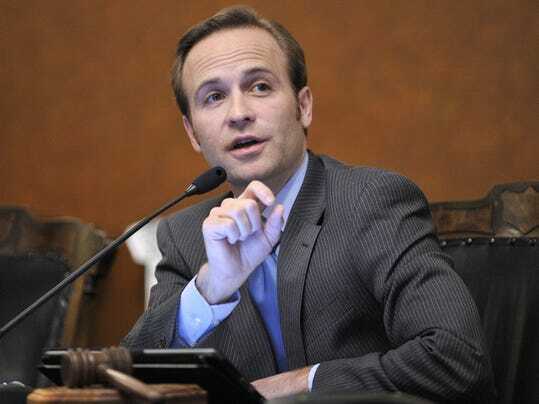 Brian Calley as point person for the administration, Michigan Department of Health and Human Services Director Nick Lyon are working to implement many of the 60 recommendations put forth by the Mental Health and Wellness Commission. The fuller answer relates to dollars, people and attitudes. We must continue to advocate for necessary funding for mental health awareness, early intervention and quality care. Much of this is technical, which means paying attention to line items in the state’s budget for the public sector and advocating for meaningful coverage and reimbursement by insurers in the private one. Simultaneously, we must care for those in need through well-trained mental health professionals, caseworkers, support staff and volunteers, in both the public and private sectors. Crucially, we must work through the “violence” in our society, including family structures and relationships that prevent vulnerable individuals from receiving help. Entrenched myths about mental illness need to be debunked. In doing so, our entire community will gain strength and better health while keeping the hope that atrocities like Sandy Hook never happen again. Ben Robinson is president and CEO of Rose Hill Center, a treatment and rehabilitation facility that helps mentally ill adults regain control of their lives.